Get the best deal on the right used Kia Rio car for you! We have one of the biggest ranges of used cars in Manchester and the Wigan region. We accommodate a broad variety of preferences and needs, so we are sure to sell your perfect vehicle. Asian company, Kia, has been creating vehicles for almost a century and is renowned for its small models. The comfortable Kia Picanto is a favourite in Britain and the Forte provides a highly sophisticated drive. 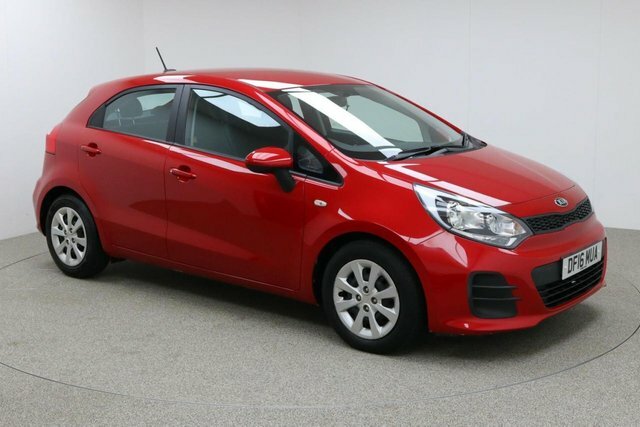 Browse the current collection of used Kia Rio vehicles now! To get to our forecourt from Wigan, you can take the M6 or the M61 to join the M60. At Junction 27, take the A560 exit to Stockport to find us and your next car!